Now change the color of your mat by simply turning it over! The Reversible Puzzle Sport Mats are constructed using the same foam and thickness as our original Puzzle Sport Mats. Unlike our original Puzzle Sport Mat, you can flip over a section once your floor has been covered without having to reverse the entire floor! This item does not interlock with original Puzzle Sport Mat. **Note: There is an additional shipping charge. For large orders please call (800) 626-2787 for bulk shipping rates. 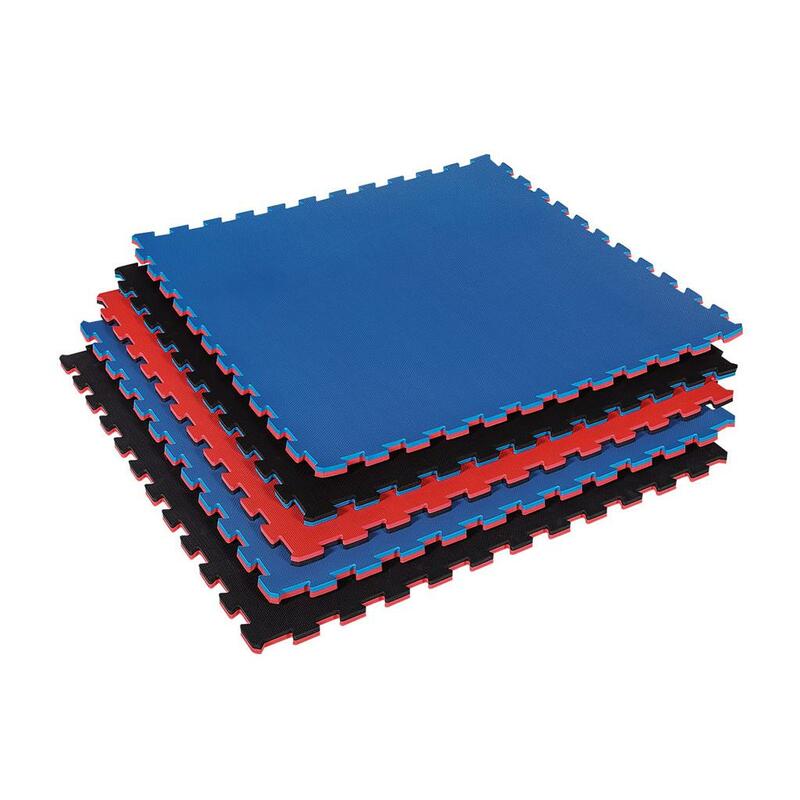 Puzzle mats are designed for stand-up martial arts- they provide a cushioned, non-slip surface for practicing barefoot and soft shoe moves and footwork. See other products in the 'Training Mats'category.